Founded in 2008, Skyline Design & Landscape is committed to designing, installing, and maintaining nature’s beauty. They strive to enhance the living and working environment so residents will be proud to call Charlotte home and visitors will to continue to come back to visit or perhaps make Charlotte their home. We had the opportunity to talk to Tina Simmons, owner, about how her business got started and what their plans are for the future. Charlotte Business Resources (CBR): To start, tell us about Skyline Design & Landscape. What services do you provide? 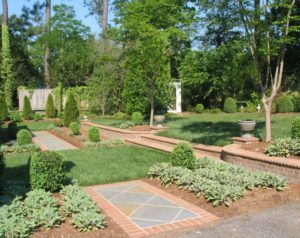 Tina Simmons (TS): We have been providing residential and commercial landscape services for clients throughout Charlotte for many years. This includes design and installation of landscaping, irrigation systems, hardscape, and landscape lighting. CBR: How did it get started? TS: When my husband and I were married in 1998 we were both working for a large landscape company. We did numerous small projects on our own and developed a passion for self-employment. In mid-2008, the opportunity became available so we took the plunge! It has been an exciting journey that we have enjoyed. CBR: What challenges did you face while starting this company? TS: The biggest challenge in forming the business was limited access to capital. With limited capital, it was also difficult to get our name established in the community. CBR: How has your business experience been within the Charlotte community? 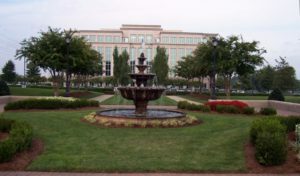 TS: The Charlotte metro area is one of the “greenest” cities in the United States. Skyline Design & Landscape is proud to be a part of this vision by providing quality service, exceptional workmanship and the strictest adherence to the City’s guidelines. Going forward, we want to build a sustainable business with a commitment to our customers, employees and our community. CBR: What local resources have you used along the way? 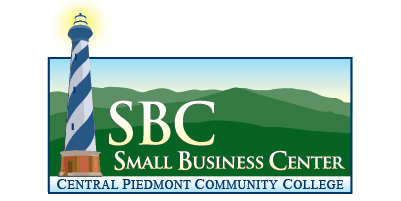 TS: I have taken classes and workshops at CPCC’s Small Business Center, met with SCORE counselors, worked with the Charlotte Chamber of Commerce, and worked with NC Department of Transportation. If I had it to do all over again, I would have worked with these resources and others earlier in my career as a business owner. I was not aware of the fantastic services they provide when I started this company in 2008. It would have given me a better insight into what it really takes to be a business owner. CBR: Do you have advice for new business owners? TS: Have a solid plan in place for the good times and the bad times. Know where your capital is coming from and always plan for the future. Take advantage of the local resources that are available to you; many free of charge! TS: We want to be a trusted partner for our fellow business owners by helping them provide and maintain that great first impression. That is the key to making their business stand out in the community. CBR: Is there anything else we haven’t asked that you would like people to know? TS: We are proud to call Charlotte our home. We want to serve our community with integrity while improving and maintaining the environment we call home. Thank you very much Tina for taking the time to share with us! If you would like more information, please contact Skyline Design & Landscape! What did you think about this Q&A? Let us know on Facebook and Twitter!